The buttons and links for address validation provides one option for using the address validation. This option places a button and/or a link that when press pops up a screen for entering the address information. 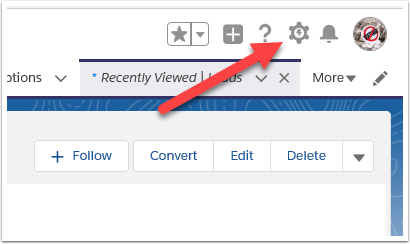 The alternative option for links and buttons is to override the new/edit page layouts for Leads, Accounts or Contacts. 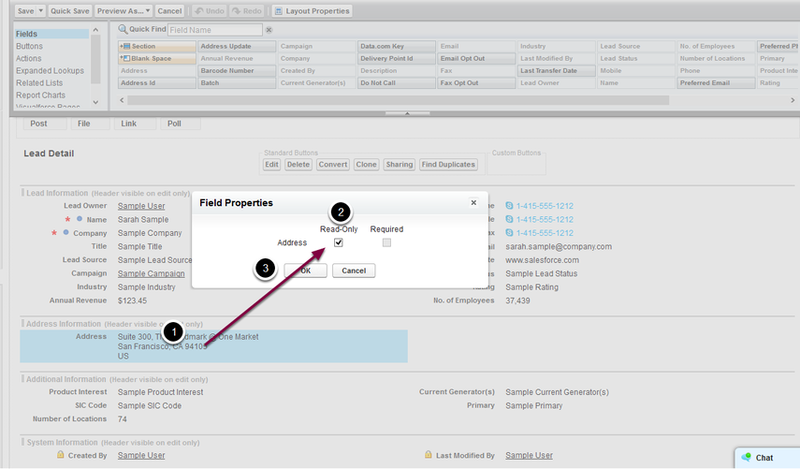 The option overrides the standard salesforce input screen for these objects and includes the address auto-complete/validation. You must first have DataTools Kleber setup. 1.1. 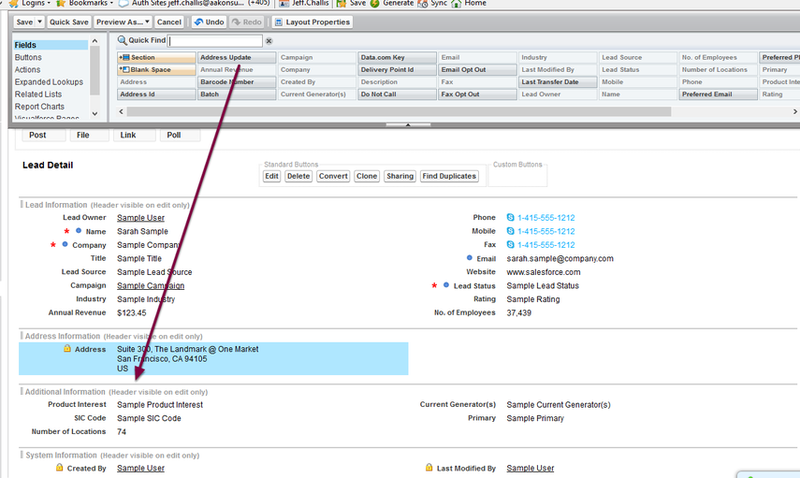 Go to a Lead Record and then go to the Setup Coggle in the top right hand, and select Edit Page. 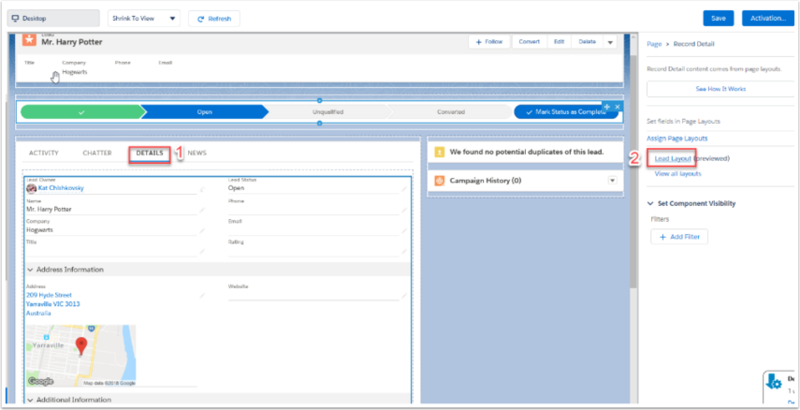 Locate a lead, click into the lead and press Edit Layout link. 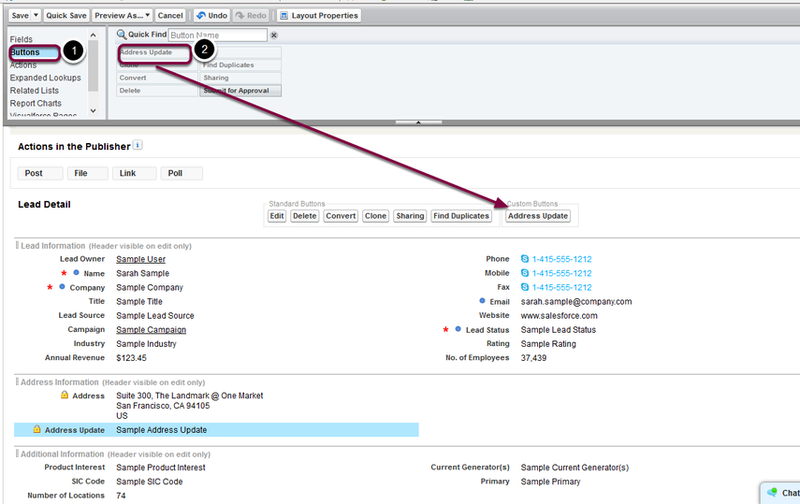 Click on the Address Update field and drag this below the address details.